Everything was perfect from the beginning untill we left, the rooms were clean, the hosts were great and the quietness of the surrounding area was overwhelming. Definitely will come back. Great property with everything you need. The owners makes you feel like family. The place is spotless and comfy! Friendliest hosts ever! Good location near the park. Lovely apartment. Petar and Bernarda were very (!) warm and kind. Even though we get there very late, they wait for us and try to help in everything. 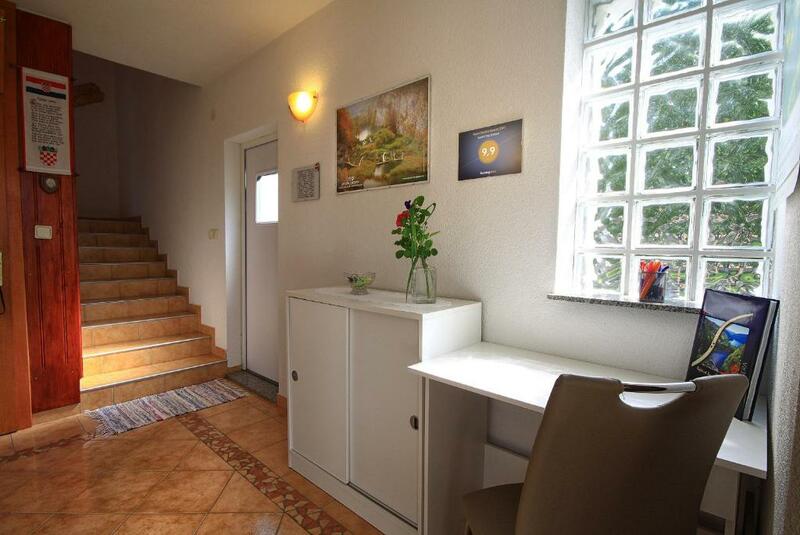 The apartment is excellent and exactly as you saw on the photos and even better! It was very well equipped, the rooms were very clean and nice and you have everything you need for a comfortable stay. From my point of view, it is the perfect place to stay if you want to visit Plitvice Lakes! From initial greeting and throughout our stay, Petar and Bernarda were very warm and welcomed us into their home. Even though language was a barrier, this was overcome by their friendly interaction. Their unit was fantastic, they have everything you need for a comfortable and homely stay. They provided drinks on arrival, and also a farewell gift, which we have not experienced before, all ending as an unforgettable stay. We did not want to leave. Perfect place to stay if you want to visit Plitvice Lakes when travelling by car. The apartment is exactly as on the photos or even nicer. The hosts are very warm and friendly couple. And Slivovica (home made plum vodka) is strong and tasty. I can honestly reccomend to everyone. Petra and his wife were very friendly. We felt like visiting our grandfather's house. It was the most impressive apartment in Croatia. Lovely well equipped apartment in the countryside-convenient for visiting Plitvice with a supermarket and bakery on the main road. Had nice balcony for eating outdoors. Had a very warm welcome from the owners who had a welcome drink for us on arrival. Thank you for a wonderful stay! Great host. the old couple don't speak much English, but we can communicate easily with a little tech help: Google Translate. The flat was on 2nd floor, and it is fairly new and modern. All facilities are well maintained and super clean. 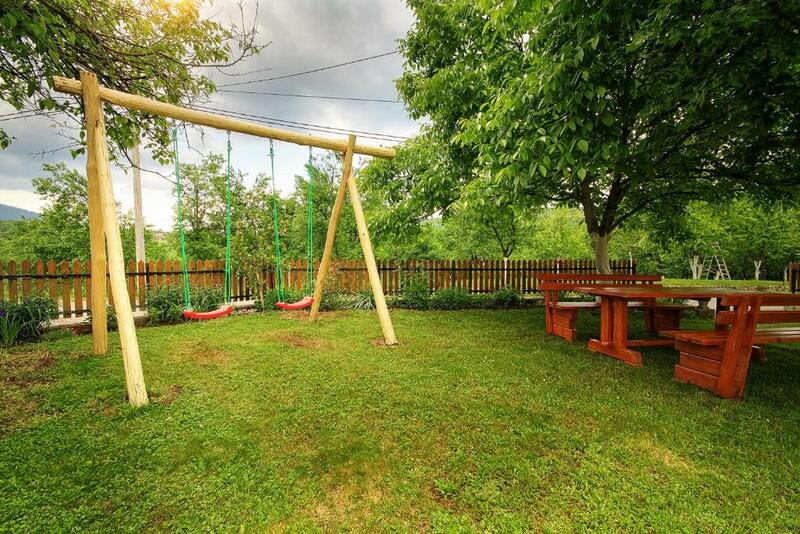 nice yard with lots of plum trees. Host offered us home brewed plum wines. 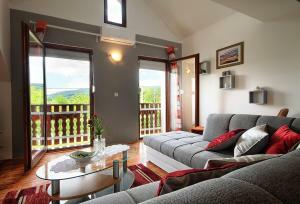 The location is only 10-minute drive to the entrance 1 of the Plitvice national park. We got up early and get in the park before the large crowd. Check-in and out are very clear and professional. 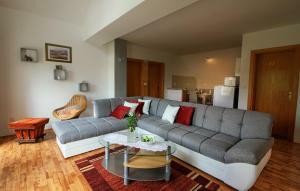 Lock in a great price for Apartment Medeni – rated 9.8 by recent guests! Apartment Medeni This rating is a reflection of how the property compares to the industry standard when it comes to price, facilities and services available. It's based on a self-evaluation by the property. Use this rating to help choose your stay! One of our best sellers in Rakovica! Located in Rakovica in the Karlovačka županija region, Apartment Medeni has a garden. Guests staying at this apartment can use the free WiFi and a fully equipped kitchen. Featuring mountain and garden views, this apartment has 2 bedrooms and opens to a terrace. The air-conditioned apartment also provides a bathroom with a bath or shower. Apartment Medeni has a playground. If you would like to discover the area, cycling is possible nearby. Plitvička Jezera is 10 miles from the accommodation, while Bihać is 21 miles away. 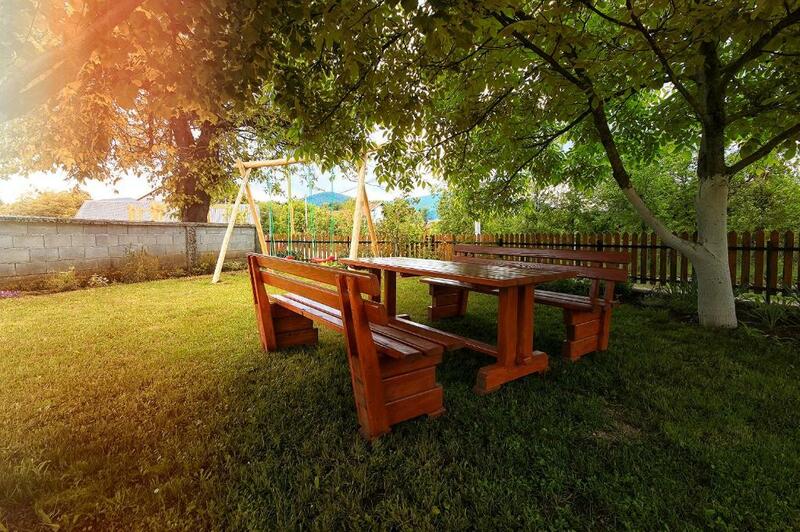 This property also has one of the top-rated locations in Rakovica! Guests are happier about it compared to other properties in the area. 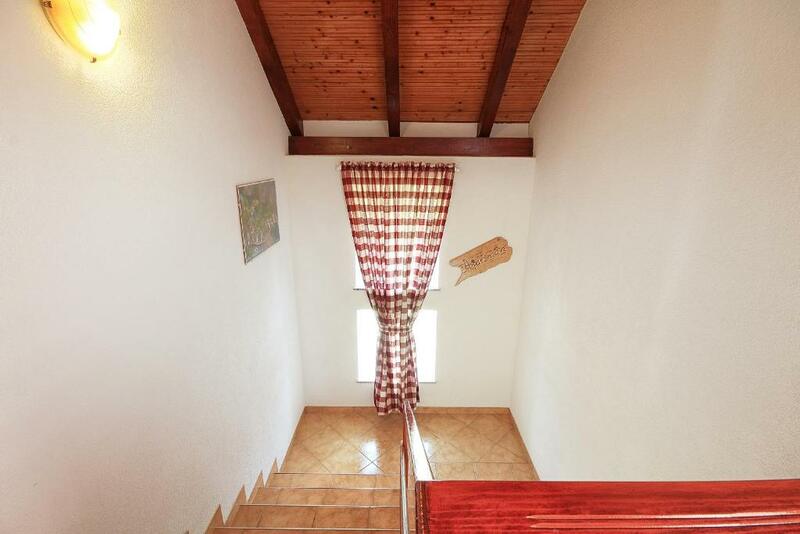 This property is also rated for the best value in Rakovica! Guests are getting more for their money when compared to other properties in this city. When would you like to stay at Apartment Medeni? u objektu se nalaze dvije spavaće sobe veličine 16m2, veliki dnevni boravak i kompletno opremljena kuhinja sa blagavaonicom . Besplatno parkiralište u sklopu objekta. Svaka soba ima izlaz na balkon ili lođu sa pogledom na šumu, pašnjake i planine. U objektu se nalazi TV ravnog ekrana sa satelitom, besplatni Wi-Fi u cijelom objektu. House Rules Apartment Medeni takes special requests – add in the next step! Please inform Apartment Medeni of your expected arrival time in advance. You can use the Special Requests box when booking, or contact the property directly using the contact details in your confirmation. Superb hosts. Closeness to Plitvice. I only wish I could give Pettar's place a rating of 20!....There was absolutely nothing that we weren't completely thrilled with. We have been travelling through Italy, Slovenia and Croatia for 3 weeks now and this is easily the most wonderful place we have stayed! The welcome and check-in was an experience that will last a lifetime! Pettar and Bernadetta were so charming and welcoming...they welcomed us with home-made Slivovicz and fresh baked pastries made from cheese made there! We were made to feel like returning family members - not merely paying clients (like so many other places we've stayed). The apartment was well laid-out, generously stocked with everything one needs, sparkling clean and full of thoughtful touches. Like the crib for little ones...the outside seating on 2 balconies...It was so nice that we could have stayed comfortably for a month. And at such an economical rate no less... The morning we left it was raining and Pettar held an umbrella over my wife , himself getting wet, as he walked her to the car...we simply can't say enough good things about Pettar and Bernadetta..we would reccomend staying here to any of our friends or family visiting the area...we hope to stay here again! The owner Petr and his wife Bernadette are the most friendly and adorable that you can find. They make you feel like home, offered welcome schnaps and delicious home made pie. 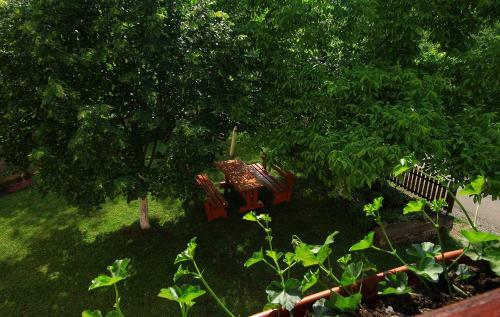 The apartment is big, everything you need you can find there, beautiful terrace. Definetly to reccomend. Really nice hosts. They do not speak English but that does not matter as they do every effort to overcome it. They used the translator to communicate, offered us a welcome drink and were more worried than us when the heater took a bit to start working. And did not stop until everything was perfect. Felt like being at your foreign grandparents home. And really close to the lakes. Since we arrived we had a feeling as if we were visiting our parents, or grandparents. The owners Petar and Bernarda are warm-hearted people and hosted us as their family members. The apartment was very clean, spacious and had two bedrooms, which was sufficient for family of 4, had all necessary ammenities including kitchen staff. 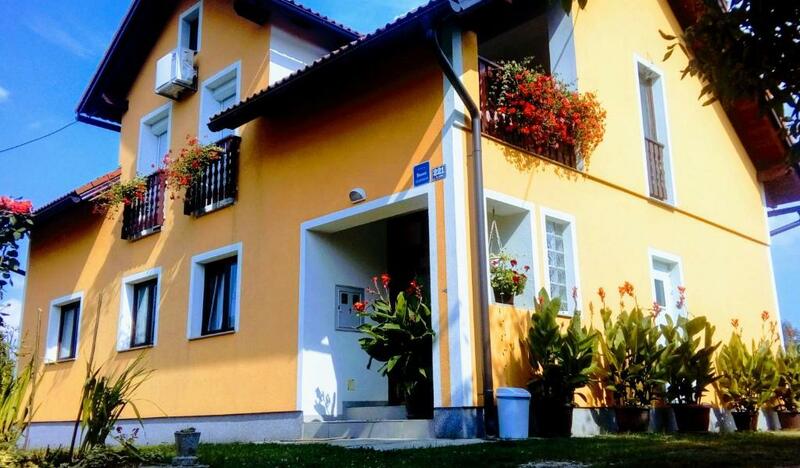 The apartment was located in quiet village, however not too far from the Plitvice lakes, only 15-20 minutes of driving and also pretty close to Rastoke which is a very beautiful location. Petar and Bernarda, thank you for your kindness and hospitality, your homemade pears were a perfect refreshment in our next trips. 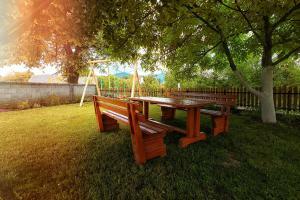 Very nice green location about 10 min drive away from Plitvice lakes. Apartment spacious, very clean, nice furnitured, comfortable beds, aircon, great terraces. Kitchen and bathroom with all required, including consumables. Excellent hosts (Peter and Bernanda) making every effort to make your stay a pleasure. We've got a welcome drink for everyone and a nice home made cake from our hosts. Bathroom shower place needs a shower cabin.. for the moment there is curtain and it sticks to your body while taking shower..
Clean apartment, nice people.. excellent view of room.. huge place..